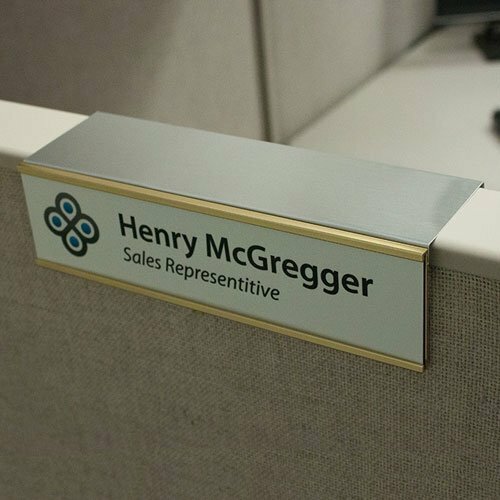 Custom name plates for employees and more. 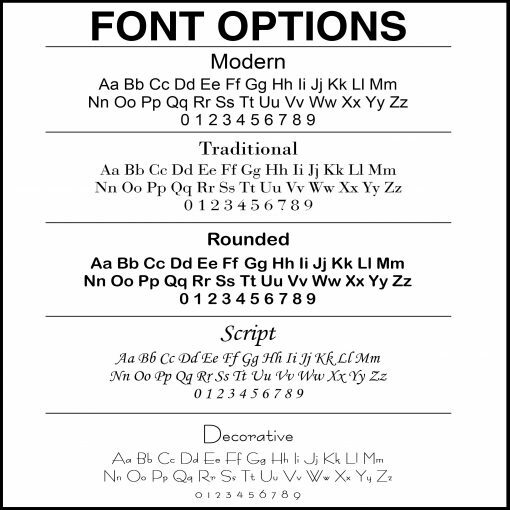 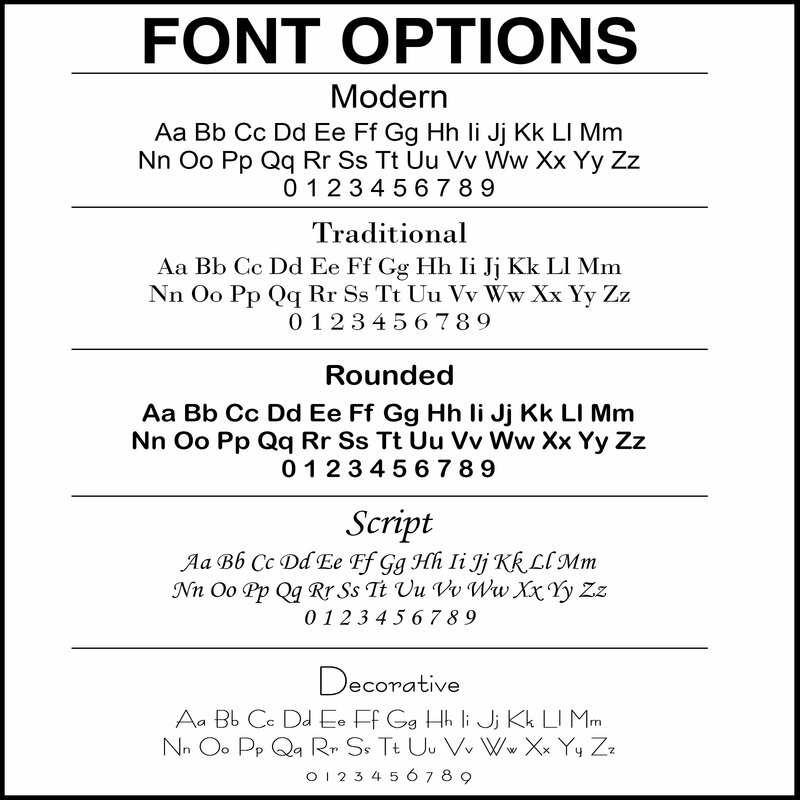 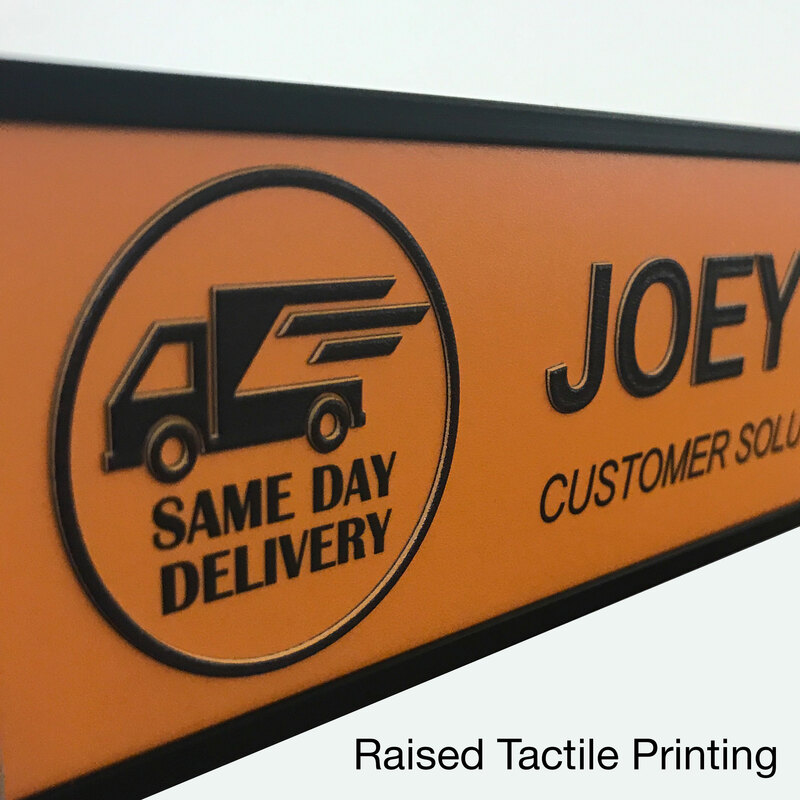 Great for desks, doors, lobbies and directional signs. Available with standard color-printing or NEW raised, tactile printing that is ADA compliant. Color-printed on heavy-duty, aluminum for long-lasting vibrance and durability. 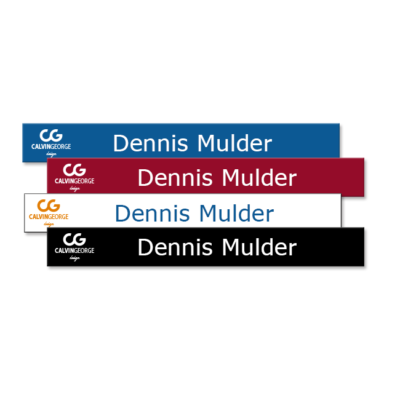 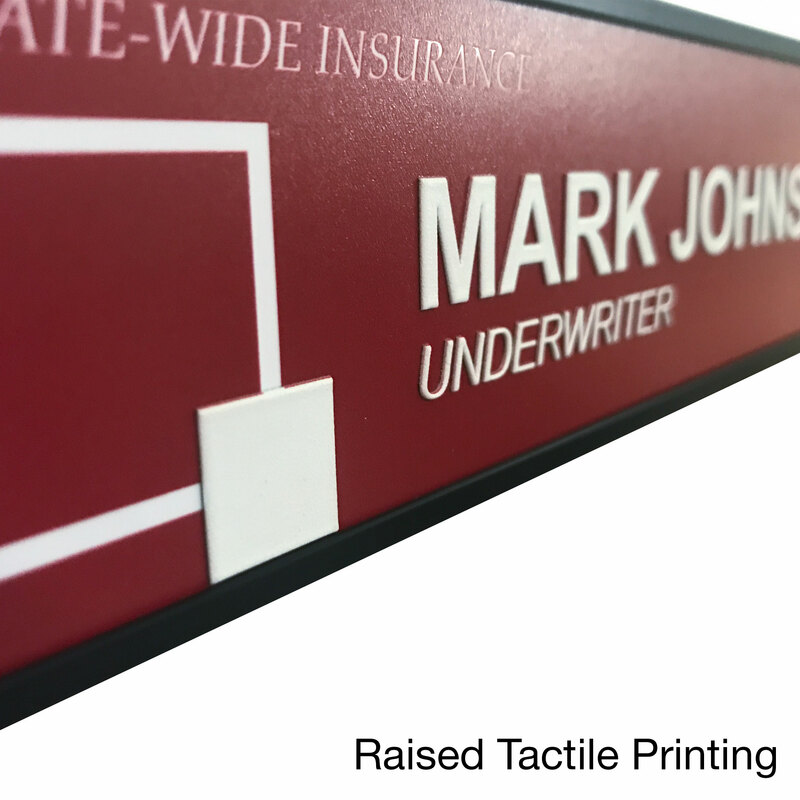 Name plates are available in 13 colors, ready to personalize with logos, graphics, and text. Add $.95 each for peel and stick backer, $1.25 each for magnetic backer. 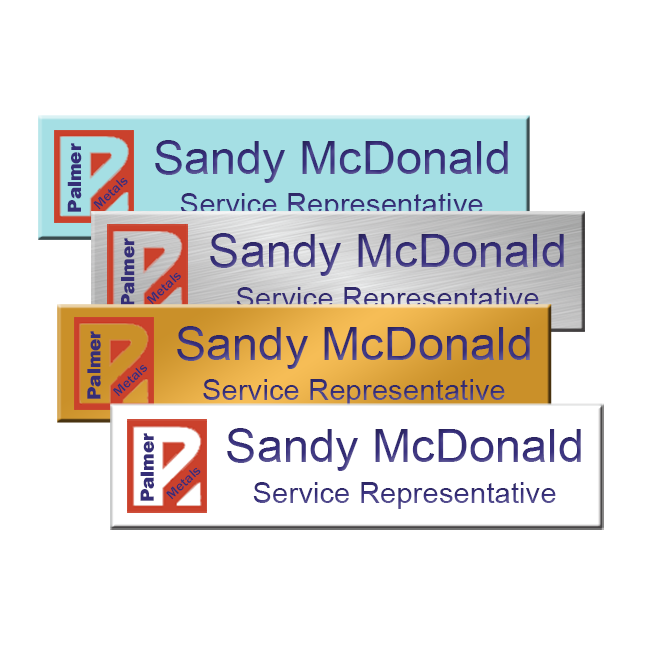 For additional name plates, please upload a spreadsheet of information below. 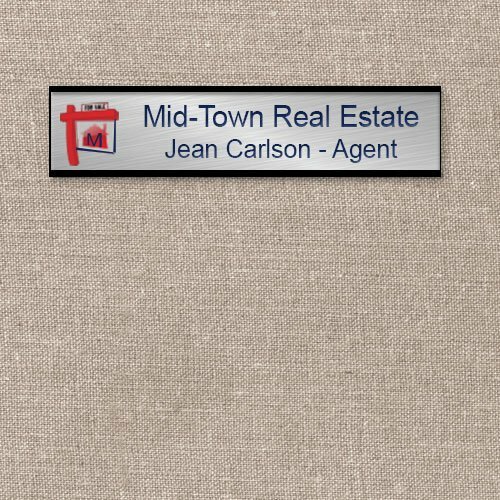 See product photo gallery for options. 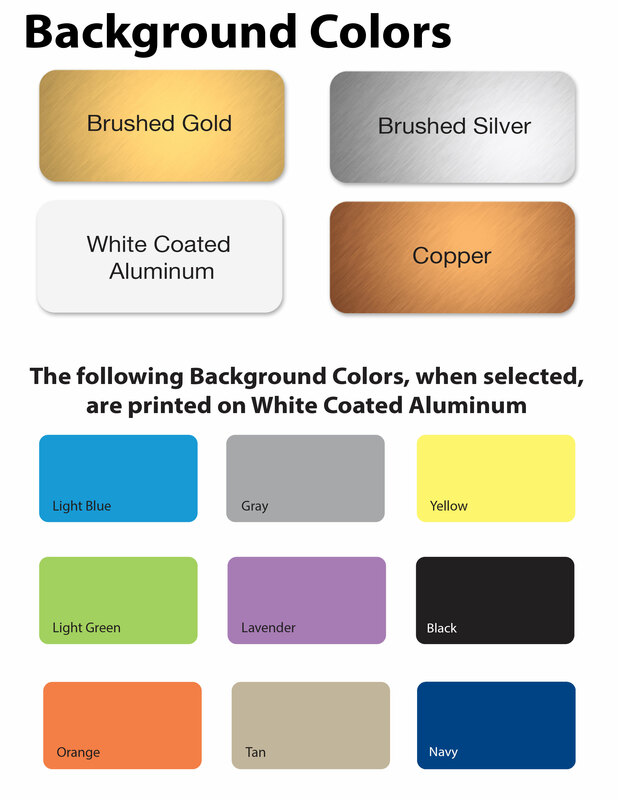 If you are matching a color, please provide the CMYK values in the instructions below. 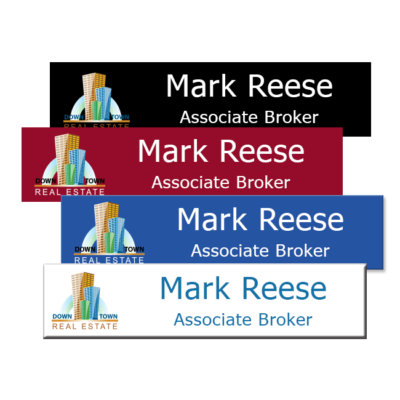 Upload a print-quality, high-resolution logo in PDF, JPG, AI or EPS. 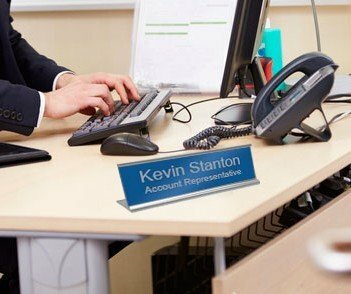 Create a spreadsheet of names and/or titles to be printed on each line. 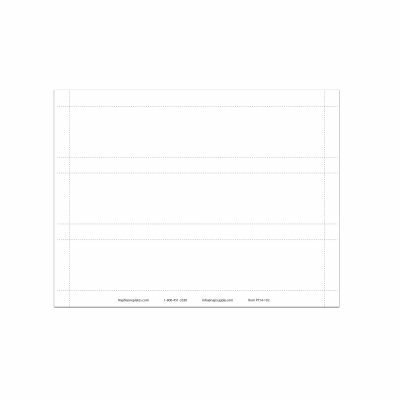 Download a spreadsheet template while in the shopping cart.